Ive toured Scotch distilleries before, but when touring Balvenie Distillery with top Canadian chefs, the tour became more about the senses. Chefs taste everything. Even as we stood on the malting floor (where barley is dried), the Chefs were reaching down, scooping up the barley and tasting it. The tour became more about the taste and smells, the art behind the craft in making scotch, and less about the technique. 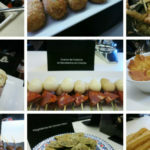 The Chefs were asked to take inspiration from our tour and create a meal the following day based on the craftsmanship used to make a bottle of Scotch. Balvenie Distillery was the perfect distillery for the tour, as it is among the few that still keep all elements of Scotch craftsmanship on-premise. As an example, the malting facilities (which served as inspiration for the meal) have long-since been outsourced to third parties by other distilleries. We toured the cooperage where barrels are assembled and repaired. We tasted the barley as it went through the process of drying and being smoked. We smelled the yeast while watching the barley ferment into beer, and later followed the alcohol through the distillery where it was made into whisky. Finally, we toured one of the warehouses where the scotch is barrel-aged. Consider the barrels that once contained fine French wine, Spanish sherry, or American bourbon that are now filled with Scottish whisky: the smells wafting through the room blend into a heady, complex aroma. All this was aptly translated to the dinner the next day, from the ingredients used, to the smells, and even to the shape of the cut vegetables. The dinner started with bread and butter, which I generally take for granted, yet at this meal was not an item to be ignored. Derek Dammann (DNA Restaurant in Montreal) was responsible for the bread, which was made with barley flour, toasted malt and hop grains. The butter itself was smoked with peat and topped with sea salt, and a Balvenie reduction to bring it all together. It was fantastic and the perfect start to dinner. Dale MacKay, last years Top Chef Canada winner and chef-owner of Ensemble and eTap (Vancouver), had the first course: Scottish roasted scallops, seasoned with barley, corn meal and coriander, paired with cauliflower puree, roasted cauliflower, cauliflower beignets, and prune puree cooked out with Balvenie Signature. 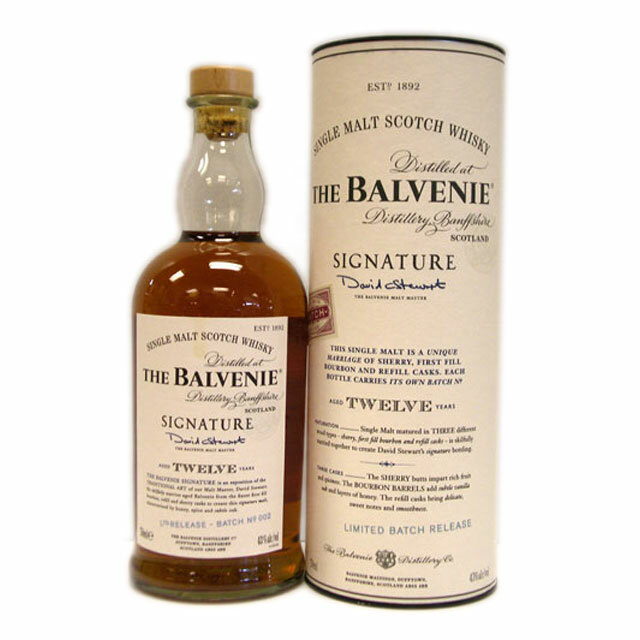 The Balvenie Signature is a twelve year old scotch first released in 2008 by David Stewart (Malt Master in his 50th year in the industry), and intended to express the unique flavours and aromas of Balvenie. On the nose the prominent note is dried fruit, but youll also get more citrus scents like oranges and lemon. The palate has similar characteristics but with more toffee notes, along with honey and light barley flavours. The finish is very smooth leading to more of the spicy flavouring. This is a lighter, perfectly balanced Scotch. Paul Rogalski, chef-owner of Rogue (Calgary), joked about making us a Scotch jello shot. Arriving on our plates was a tall thin glass with a set jelly, composed of a half-reduced shot of whisky. Also in the glass was cured grouse breast and vegetables (including carrots cut into tiny whisky tuns). The serving staff then came around to pour a grouse consume to melt the jelly and release the whisky. This was a fantastic light course, leading into the heavier (and meatier) part of the meal. Derek Dammann, who already treated us with bread and butter, brought out with two large trays of slow-roasted lamb served family-style. The lamb was perfectly done: moist and flavourful. Along with the protein, we had hollandaise, peas, carrots, and turnips with a whisky-glaze. Tom Brodi’s (formally of TOCA in Toronto) plate was venison marinated for 3 hours with Balvenie 17 year old Peated Cask (along with some pink peppercorn, juniper berries, and olive oil) seared and served medium-rare. With the ‘bibs and bobs’ of the venison, Chef Brody made a tourtiere, and on the side included some brussel sprouts, a pickled chocolate walnut (with whisky), and garlic caramel sauce. This was paired with the Balvenie Peated Cask. Traditionally, a smoky flavour is added to Scotch by burning peat during the barley trying process. With the Balvenie Peated Cask things are done differently. 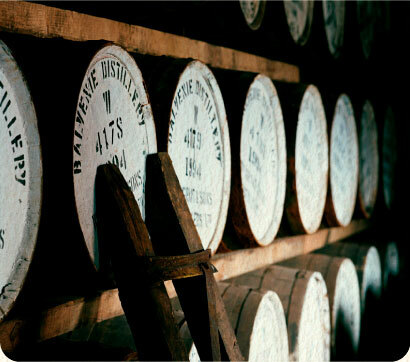 Instead, Balvenie un-peated scotch is aged 17 years and then poured into barrels that previously held very peaty scotch. This finish gives makes the smokiness more prominent on your palate than on the nose. For dessert we had an apple tartin with hazelnuts and vanilla ice cream, created by Dale. The creme fraiche was spiked with Balvenies Caribbean Cask Scotch. Ive written about the Balvenie Caribbean Cask before; it continues to be one of my favourite go-to drinks. The Balvenie Caribbean is aged for fifteen years in the regular Balvenie style and then finished for six to nine months in casks that once held rum. Theres a unique sweetness to this scotch with elements brought out by the rum. 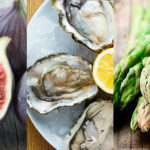 The Canadian Chefs Congress will be using these recipes in future events, and each of the chefs will be hosting a fundraising dinner at their restaurant featuring elements of this meal in the fall.